I am in San Francisco for two weeks, picking up my twins who will spend the summer in Aix-en-Provence. It is wonderful to be back in Bagdad by the Bay, as coined by the late, great SF Chronicle columnist Herb Caen. 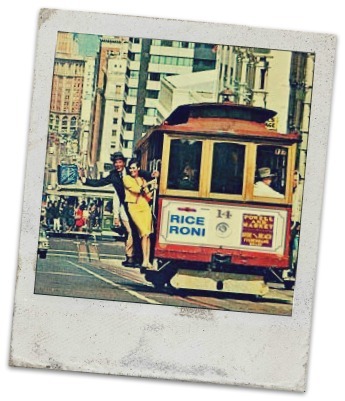 The impossibly steep hills and colorfully painted Victorian homes, the vintage street cars rumbling down Market Street and Rice-a-Roni cable cars (“a San Francisco treat!”) being pulled up Powell, all cloaked in the mystery of a cool Pacific fog. Sitting at the Lone Palm in the Mission last Saturday night, I crossed paths with a reformed venture capitalist now placing social investments in Ghana. His girlfriend showed us her magnificent new dragon tattoo that stretched from hip to knee cap with great pride. Another round please. San Francisco is like that. My kids will have great memories of their San Francisco youth. They take the underground metro each morning to the Powell Street station, lug their backpacks past the Union Square shops and through the heart of Chinatown before arriving at their campus on Pine. Some days they jump on a cable car leaving the turnaround on Market, gliding up Nob Hill to the clang of the conductor’s bell. All just a bit more exciting than the rural school bus rides I endured as a boy in Pennsylvania. Like all parents I often question if I am a good parent. What matters most? Who is the gold standard? How do I make an impression? What is the level of personal investment, support and sacrifice truly required? Do I have boundaries? Am I a bad parent for asking these questions? Of this I am certain: there is no proven recipe for successful parenting; it cannot be reduced to 7 sacred steps (but wouldn’t that be wonderful?). Each child comes with a unique basket of gifts and challenges, as do we, the parents. Each challenge and every gift must be attended and nurtured in a manner that resonates most effectively, and finding that host of frequencies (which are unique to each kid and change with age) is an exercise in trial and error. Overcoming our own deficiencies is equally exciting. Of this I suspect: to lead by example is the low hanging fruit. We are all born naked and wrap ourselves in the fashion of conduct and beliefs that mimics our most inspiring idols. These would be our parents, …until the teen-age years of course. And at this phase, when the great distinction between passive hearing and active listening is most truly crystalized, the examples we set become perhaps the sharpest tools in our parenting kit. Of this I believe: we do a great disservice to our kids by emphasizing the limitless sacrifices we are prepared to make on their behalf. Their own futures are without bound, the possibilities without limit, gated only by individual levels of ambition. All parents must surely feel this way. I want each of my 3 kids to fully explore and realize their personal genius – to “put a dent in the universe,” to quote Steve Jobs – and will be frustrated in the extreme to see their dreams surrendered to self-imposed constraints, for there will be plenty enough outside the voluntary sphere. Women face the most challenge, equally from external gender bias and their own skew to self-sacrifice. For those of you with a determined young daughter, would you be happy to hear that all has been shelved to support her husband’s journey or raise kids? Being a spouse and mom is rewarding and demands compromise. But, to what level, this is the issue. This will be her personal decision; one influenced heavily by the examples you as mom are setting now. So, is this a good lesson: my talented mother sacrificed all for me so that I could flourish in the world; I sacrificed that for you, my child, so you could flourish in the world; you should be prepared to sacrifice that for your children so they can flourish in the world, ad infinitum? Who the hell gets to actually flourish in the world under this model? Is this a better lesson: my mother was a remarkable success (or at least gave it a damn good try) who inspired me every day to reach for the stars without limit; I am working hard to be a remarkable success and role model who inspires you to reach for the stars without limit (and yes some nights we eat Rice-a-Roni because I just don’t have time to do better, deal with it), and you can hand this lesson down to your own children, ad infinitum. By the way, did I tell you today that I love you? For parents (moms or dads) whose principal sense of worth and pleasure is based on their children’s fulfillment, god bless. 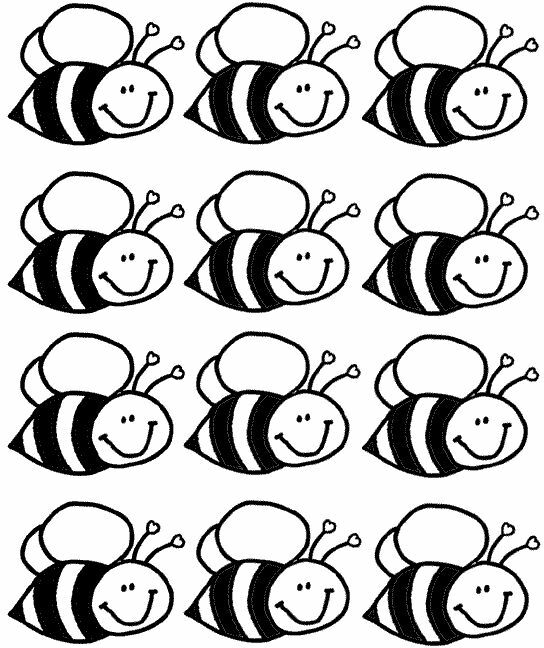 You are a good worker bee, teaching your kids who can teach their kids to also become good worker bees, focused on the spawn and filling a virtuous role. But amongst you and your daughters there may well be a Marie Curie or Joni Mitchell, Amelia Earhart or Julia Child toiling indistinguishable from the rest in the hive. And at this challenged moment in time – environmentally, artistically, economically, politically – do we need more convention or inspired disruption? Is it better to be less the dutiful parent or spouse, more the accomplished individual? Would we prefer that Marie or Joni, both moms of questionable parenting repute, had just stayed the hell home? There is a wide blur between selfish and selfless, particularly in the parenting domain, and both are unhealthy at the extremes. I struggle to find the optimum balance point, and for many other parents committed to self-discovery and fulfillment this is an ongoing struggle. Of this I know: I am a more complete man for having had children, and for this I am grateful, as self-discovery has become a central preoccupation to my middle age. But I think it is too easy to temper our ambitions, to bound what is possible with kids as the pretext. Frankly, we get tired (dare I say lazy?) and they become an easy out. Our society is biased towards family obligation over individual rebellion, which makes it all the more easy. All for the hive! Shall we leave that to the bees? My friend Heidi in Central PA shared your blog with me as I started a journey of self discovery last year where I vowed to try something new each month. I awoke from my comatose life and realized there must be more for me so I read and explored. Your thoughts comforted me because they showed me others push for self discovery too. It has been most entertaining to read what you have written and I have begun to travel to other countries, skydive, run and many more things I won’t detail. Thank you for sharing. Great writing. Great thinking. Thanks for posting, bill.